Go west on SR 44 from US Hwy 301, and turn right on SR 44A. Go to CR221, and turn left. 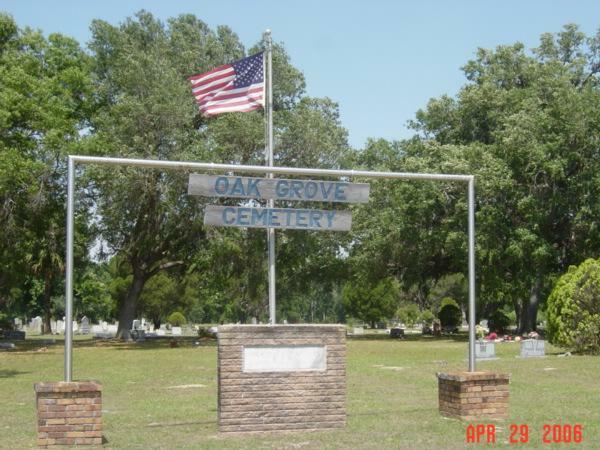 At intersection with CR232, turn left and proceed to the end of the road, which deadends at Oak Grove Cemetery.